MADRID (Sputnik) - Spain will set up a central operational command to address the immigration-related challenges the country is facing, Spanish Prime Minister Pedro Sanchez said Friday. "We will set up a central command for the operational management of the state security services on the [Spanish] borders and in the Strait of Gibraltar. This command will coordinate all the actions related to the illegal migration, as well as necessary mechanisms for the effective use of all human and material resources and prompt communication," Sanchez said at a press conference in Madrid. According to the prime minister, the objective of this command will be to prevent migrants from illegal entry to Spain from their countries of origin. 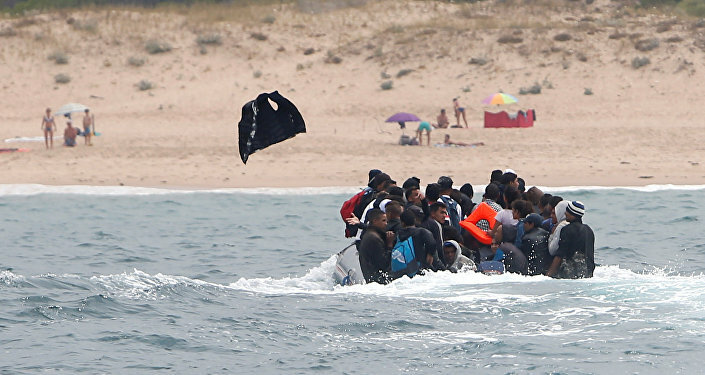 Spain currently tops the list of Mediterranean countries by the number of migrant sea arrivals, as 23,048 migrants arrived in Spain since the beginning of the year through August 1, according to the latest figures from the International Organization for Migration (IOM). Europe has been facing a large influx of migrants since 2015, and although the number of new arrivals has gone down over the last year, the issue of accommodating migrants and refugees remains acute, especially for such countries as Spain, Italy, and Greece, which often serve as the point of first entry into the European Union.